OncoCollectTM is a Data collection software for Research in Oncology, which is installed in the local server of the Institution to collect data from all Divisions in Oncology. It is not an EMR and so the data can be entered by non-medical people as well. The registration details of the patients can be imported directly into OncoCollectTM from local electronic registration system, which will avoid duplication of work and save time. 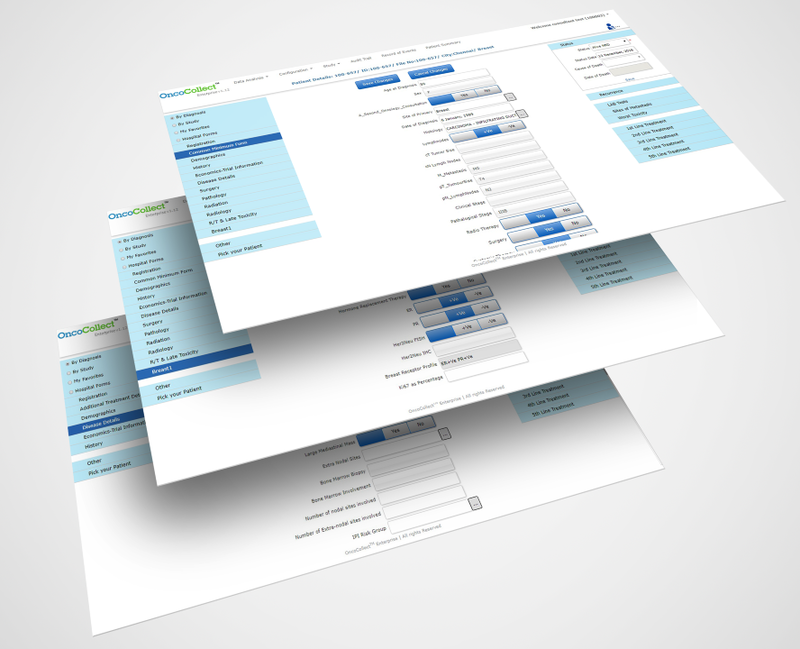 The forms are designed for easy entry of structured data with built-in values.